7.1 oz 100% polyester fleece fabric, engineered to provide maximum comfort and versatility. Decoration areas include: front, back, shoulders, both sleeves (upper arm and cuffs), left and right side of hood, hand pocket (pullover only) and front and back of waist band. 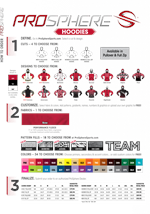 Logos, player names, numbers and emblems are dyed into the fabric and included at no extra charge. Ships in 10 Business Days, 5 business day shipping available with extra charge. 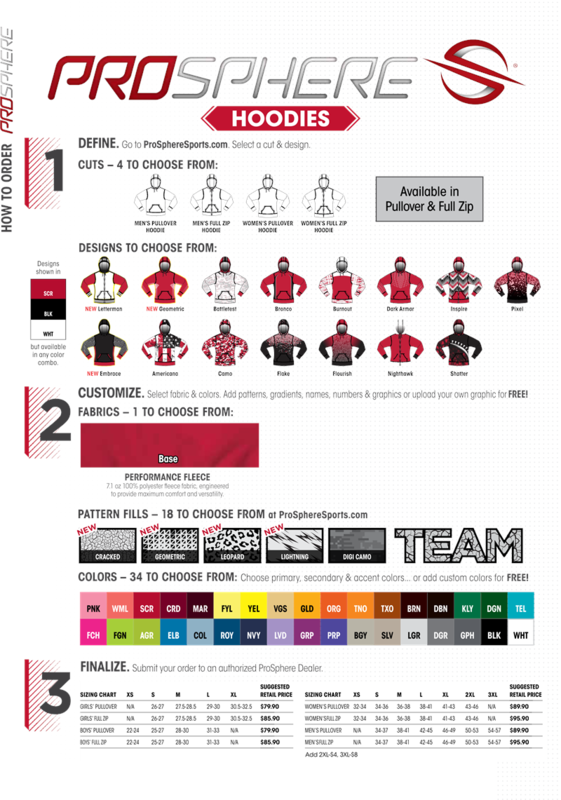 Design your own custom uniforms tonight then order here!